Now I know I don’t need to go in detail to explain the benefits of these ingredients, you might be well aware of these ingredients. 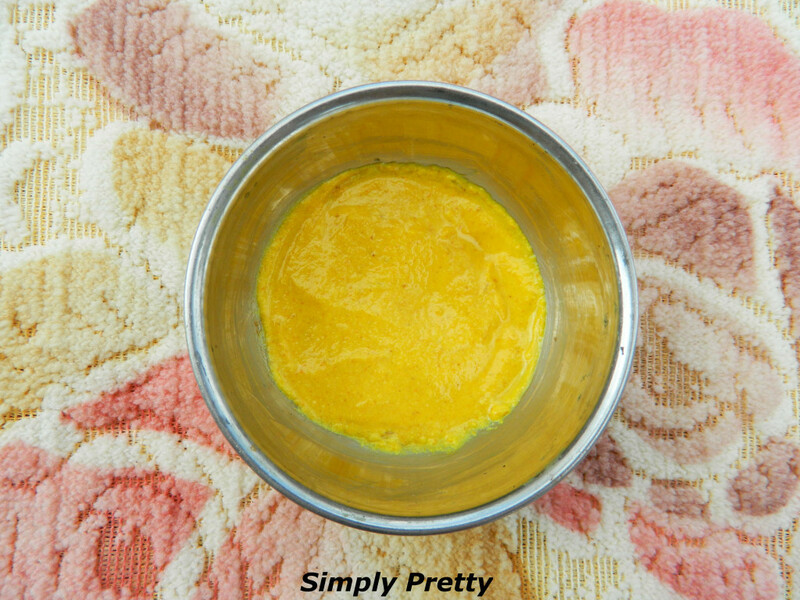 Mix all the ingredients together to form a paste like consistency but be careful with your light-colored clothes, turmeric can stain your clothes forever so I’d suggest you to wear something old or dark-colored clothes. I know it looks a little weird but I wanted to show you all how it feels on skin. Removes new as well as old tan. Lightens scars & acne marks. Gives a soft and smooth skin. All ingredients are easily available in everyone’s kitchen. Lightens skin tone up to 1-2 shade. You can use it whenever you want an instant glow on your face. Very easy to make, you just need 4 ingredients. Skin feels tighter with daily use. Turmeric might stain your clothes. 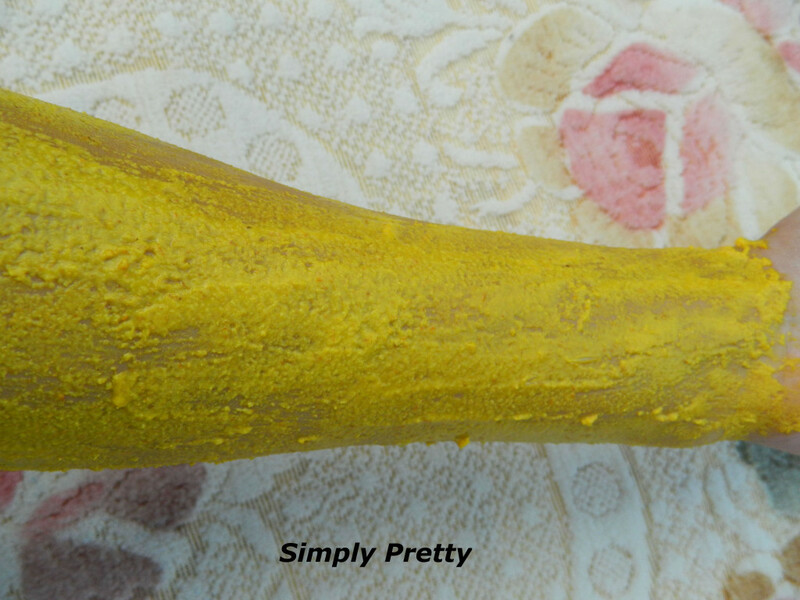 Please don’t use turmeric if it’s not pure, you will be left with yellow patches on your face. I use pure turmeric that is why I get to see amazing results. You can use the market brought turmeric but I’d suggest fair skin tone girls not to use the market brought turmeric, you’ll get yellow patches. I use this pack on alternate days or sometimes even daily because I love the results it gives. This is my all time favorite face pack! Whenever my cousins ask me for some fairness tips, I suggest them to apply this pack for continuous 15-20 days and now I suggest you all to use this pack consistently to see some awesome results. that’s a nice DIY.. i use dahi instead of milk.. overtime this pack really helps.. nice one!!!! Nice DIY, I use to use this during my college days. awesome post…shall try this …and post a before after pic :)..btw u said pure turmeric..can u explain how u procure that ? Super ! now d question is main kaise pisvayu yaha …ghar se dur akeli jo rehti hoon :( ..can organic haldi help as an substitute? I love turmeric. It totally refreshes my skin! Good post….I am using this pack since my college days and it never fails! If the kid is above 2 years! what i have done is i have mix pure tumeric with besan and stored in a container kept it in bathroom and applied every time i bath.. but i dont add curd or lemon will it give results..